So earlier in the week I found myself craving some apple brandy (or at least the blend that is Applejack). It’s been almost 4 years since I last had some, and despite being a little over my current budget I decided to pick some up. After trying a few new brandy cocktails from my recipe book, this one jumped off the page as a good choice for a hot summers day (when it’s still spring). Like most drinks shaken with pineapple juice the final pour creates it’s own unique frothy garnish. The drink begins with a light and sweet apple aroma, but it is very subtle. For the taste profile it begins with a similar light apple flavor that the aroma presents with, moves to complex pineapple juice on the mid palette, and finishes with the “grain spirits” flavor from the Applejack’s blended component. The finish is really the most complex and re-inviting flavor. Applejack as a whole doesn’t actually contain a ton of apple brandy, and it instead feels almost like a weak whiskey than a complex flavored brandy. 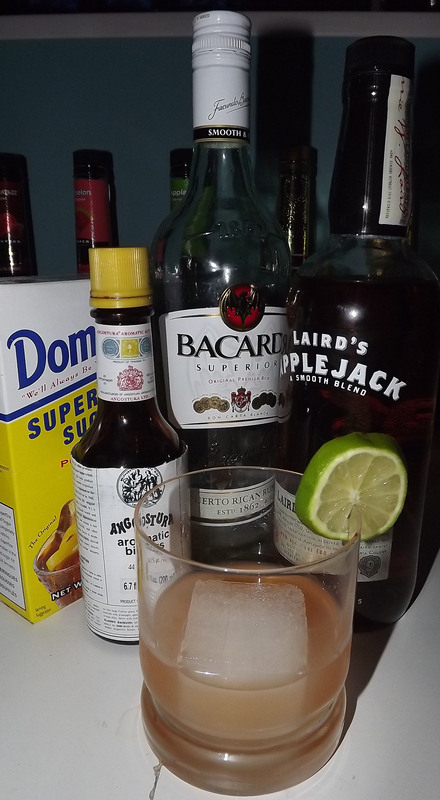 I have found that in other recipes that add a little syrup and a little more citrus bring out the apple flavor a lot more, so a variation on this with a half ounce of lemon juice and a half of simple syrup could round out the cocktail a bit more. 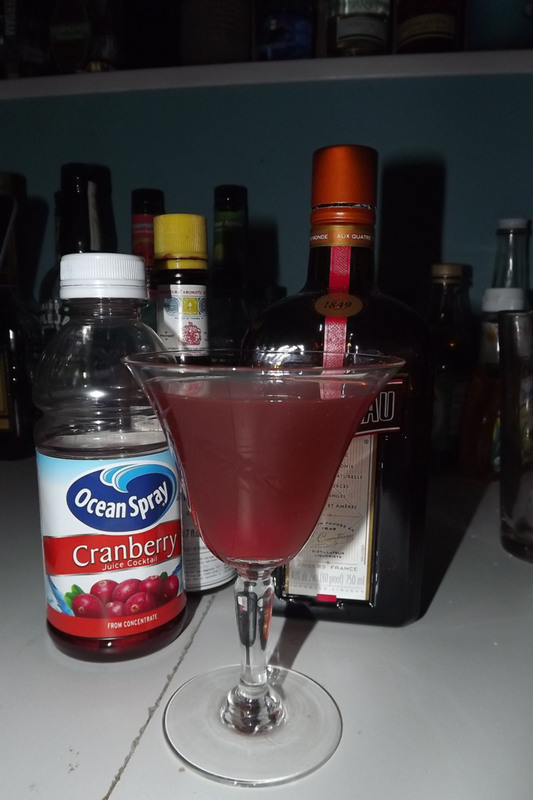 As is though it’s not a bad cocktail, but it does have room to improve. At the very least it needs 3 dashes of bitters rather than 1. Shake all with ice. Strain into a chilled cocktail glass, or over ice in a rocks glass. 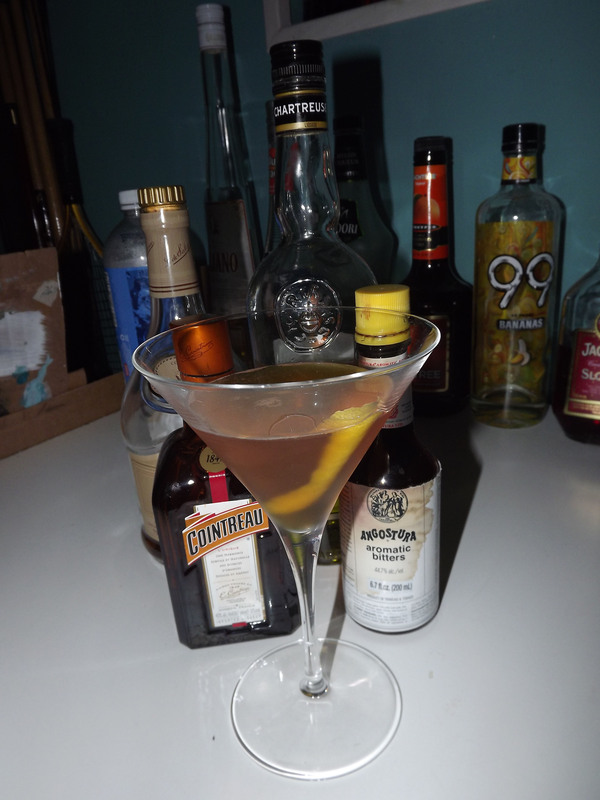 The John Wayne is a very interesting drink in that it doesn’t really embody the the essence of rugged or western. Instead the drink has a more bitter citrus aroma and more southern presentation. If anything it as a bit of a sandy color thanks to the hues of the ingredients. The drink calls for Angostura Bitters, so to compliment the drink I chose the orange bitters version. 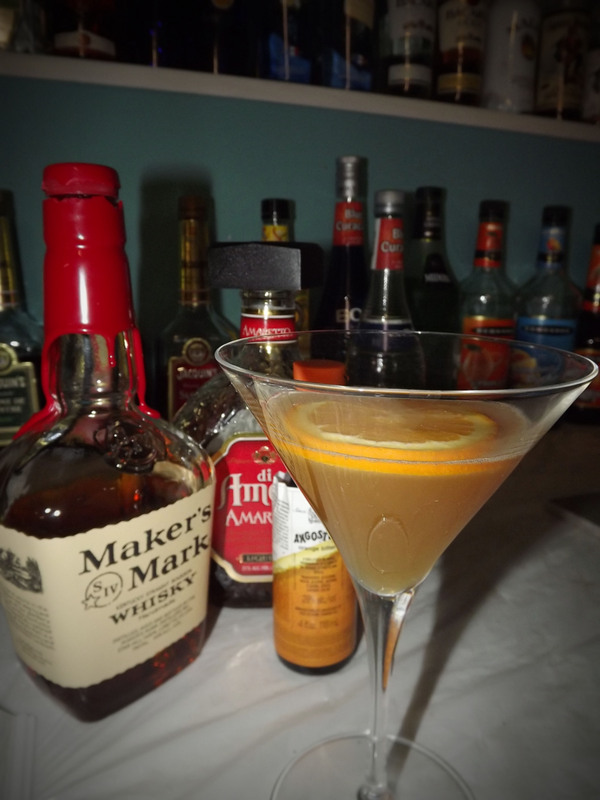 The cocktail starts out with a pleasant bitter citrus (standard aromatics might give a slightly different flavor) and ends with a full bourbon flavor. It’s a good slow sipper drink, but I do feel it might be more well rounded with a little extra OJ. Make it Again? Yes, but try some variations. Shake and strain ingredients into a chilled cocktail glass. Float an orange slice on top. 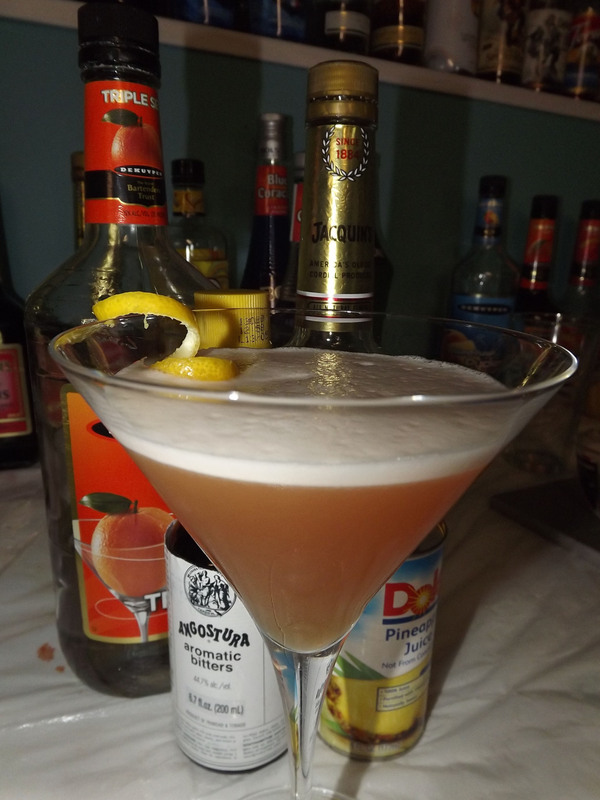 Today’s cocktail is one that I’ve been sitting on for quite a while, but have still wanted to make. The “East India” is mildly fruity and mildly bitter. I’m always impress at pineapple centered drinks as well as the froth up in a similar way that cream or milk does in desert style drinks. While the drink calls for Brandy, my bar isn’t stalked with the standard, but instead I have both apricot and blackberry brandies. Given the pineapple flavor I chose my apricot as I imagined it to be the best possible complement. Although given the name of the drink I’m surprised I wasn’t using my Bombay Dry Gin (maybe next time). I also think that Orange Bitters might have been a better choice here. The drink starts sweet with a light bitter in there as well, but as it reaches the back of your tongue and throat you get more of the alcohol. 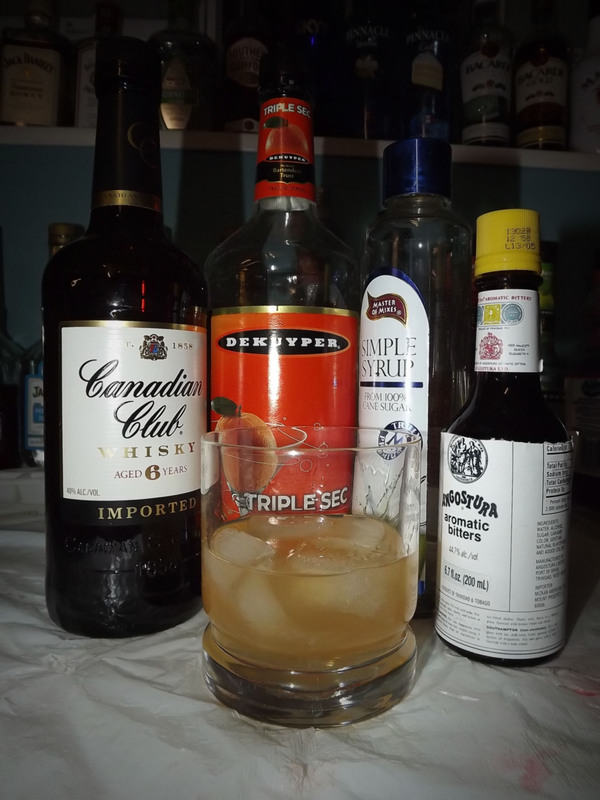 While I’m not certain that the flavors present were due more to the original recipe or my use of Apricot Brandy, the unique complexity of this drink has certainly made me want to try it again. I also feel like the lemon twist could have been more dominant if there was a dash of lemon juice in the mix as well, but then again I don’t think this drink even needs a sour element. Today’s cocktail of the week is a mellow classic that tastes great shaken and poured in a cocktail glass, or straight built in a rocks glass with ice. Shake and Strain Into a Cocktail Glass OR Straight Build in an ice filled tumbler.